New UCL research has found no link between cat ownership and psychotic symptoms, casting doubt on previous suggestions that people who grew up with cats are at higher risk of mental illness. 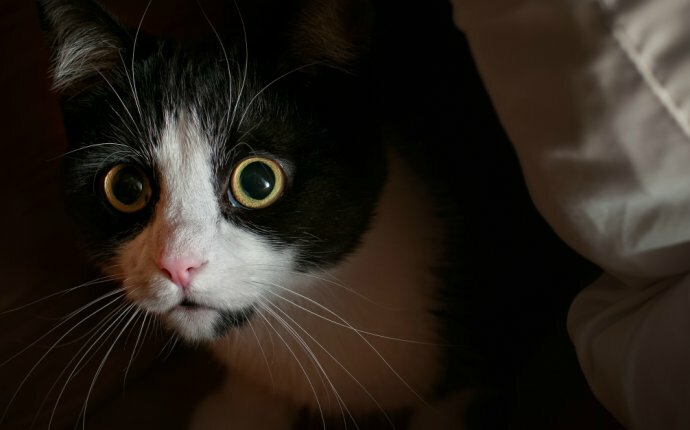 Recent research has suggested that cat ownership might contribute to some mental disorders, because cats are the primary host of the common parasite Toxoplasma Gondii (T. Gondii), itself linked to mental health problems such as schizophrenia. However, the new study, published in Psychological Medicine, suggests that cat ownership in pregnancy and childhood does not play a role in developing psychotic symptoms during adolescence. The study looked at nearly 5000 people born in 1991 or 1992 who were followed-up until the age of 18. The researchers had data on whether the household had cats while the mother was pregnant and when the children were growing up. "The message for cat owners is clear: there is no evidence that cats pose a risk to children's mental health, " says lead author Dr Francesca Solmi (UCL Psychiatry). "In our study, initial unadjusted analyses suggested a small link between cat ownership and psychotic symptoms at age 13, but this turned out to be due to other factors. Once we controlled for factors such as household over-crowding and socioeconomic status, the data showed that cats were not to blame. Previous studies reporting links between cat ownership and psychosis simply failed to adequately control for other possible explanations." The new study was significantly more reliable than previous research in this area since the team looked at families who were followed up regularly for almost 20 years. This is much more reliable than methods used in previous studies, which asked people with and without mental health problems to remember details about their childhood. Such accounts are more vulnerable to errors in recall which can lead to spurious findings. Previous studies were also relatively small and had significant gaps in the data, whereas the new study looked at a large population and was able to account for missing data. The new study was not able to measure T. Gondii exposure directly, but the results suggest that if the parasite does cause psychiatric problems then cat ownership does not significantly increase exposure. "Our study suggests that cat ownership during pregnancy or in early childhood does not pose a direct risk for later psychotic symptoms, " explains senior author Dr James Kirkbride (UCL Psychiatry). "However, there is good evidence that T. Gondii exposure during pregnancy can lead to serious birth defects and other health problems in children. As such, we recommend that pregnant women should continue to follow advice not to handle soiled cat litter in case it contains T. Gondii." University College London. "Cat ownership not linked to mental health problems." ScienceDaily. ScienceDaily, 21 February 2017. .
- What are Psychological Problems? @Tom Lang: Was curious to see if he would break from his typical personality after a huge accomplishment. Nope, all business all the way.